December 5, 2014, Nashville, TN – Word Entertainment came out on top during today’s GRAMMY nominee announcements, receiving more Contemporary Christian nominations than any other company. 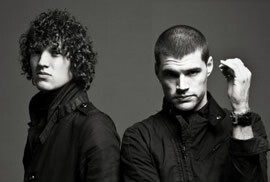 Claiming multiple nods in the two Contemporary Christian categories, Francesca Battistelli and for KING & COUNTRY, NEEDTOBREATHE and Natalie Grant are amongst the nominees. 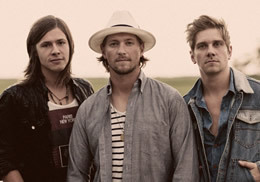 NEEDTOBREATHE (Atlantic/Word Records) received their first GRAMMY nomination in the Best Contemporary Christian Music Performance/Song category for “Multiplied,” which spent 29 weeks on the chart at NCA, peaked at #5 and remained in the top 5 for 4 weeks straight. “Multiplied” was also nominated for Rock/Contemporary Song of the Year at the 45th Annual GMA Dove Awards. NEEDTOBREATHE also appeared at the 88th Annual Macy’s Thanksgiving Day Parade. Natalie Grant (Curb Records) received her third career GRAMMY nod. The multiple Award winner, who claimed the Dove Award Female Vocalist of the Year four consecutive years, was nominated in the Best Contemporary Christian Album category for Hurricane. A leader in the music industry for over 60 years, Word Entertainment, a Warner/Curb company, is a unique, comprehensive faith-based company comprised of multi-faceted artist service departments including publishing, merchandising, booking and online initiatives. Word Entertainment represents some of the top names and brands in music, including About A Mile, Meredith Andrews, Chris August, Francesca Battistelli, Big Daddy Weave, Blanca, Jason Castro, Everfound, Family Force 5, for KING & COUNTRY, Group 1 Crew, Love & The Outcome, Dara Maclean, NEEDTOBREATHE, Point of Grace, Sidewalk Prophets, Skillet, Stars Go Dim, Switchfoot, VERIDIA, We As Human and Zealand and is home to 25 Entertainment, Word Distribution (representing Curb Records and Big Idea/VeggieTales among others), Word Church Resources, Word Films, Word Music Publishing and Word Label Group’s Word Records, Word Worship and Fervent Records.